The Freedom Bus riders explore this region for 3 days, sleeping on the floor of the Jordan Valley Solidarity Friends' Meeting House and learning from a multitude of community activists. 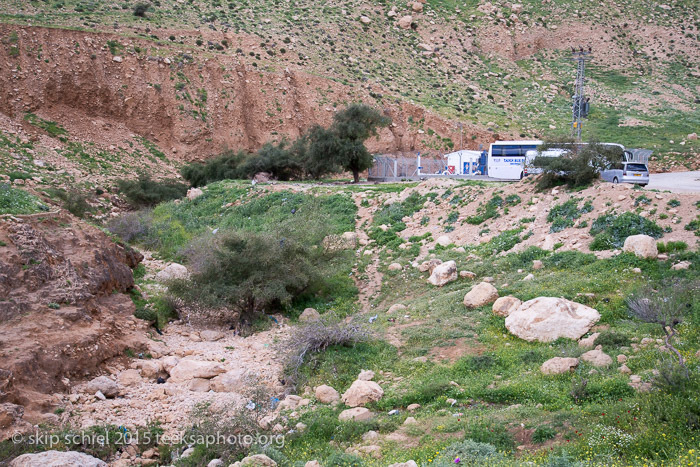 This was once a river flowing copiously with water relied on by Palestinian farmers. Because of Israeli water control the river dried up.